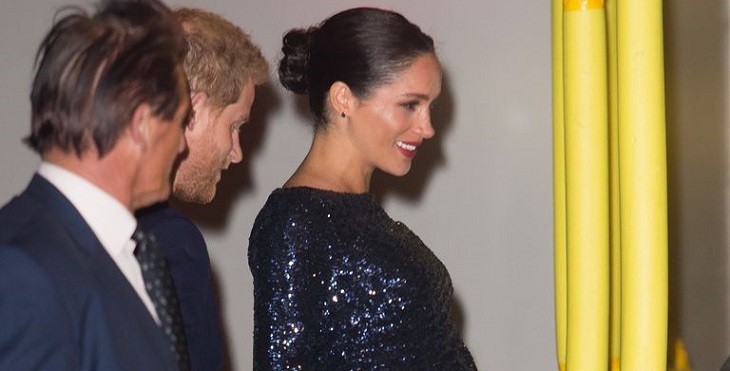 In just 24hours interval, Meghan Markle has given pregnant women some serious maternity style envy when she stepped out for two royal engagements in two covet-worthy looks. 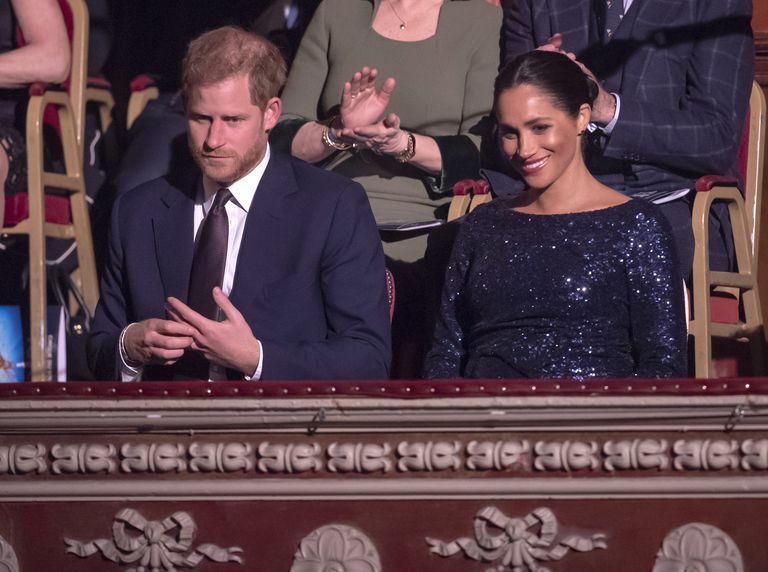 The Duchess of Sussex arrived at the Cirque du Soleil’s Totem alongside Prince Harry in the evening yesterday looking like the true queen of sequins. Honestly, is she not? According to the reports, their attendance was aimed at supporting Sentebale — a charity organization that was launched by the Duke of Sussex to support the children affected by HIV in Africa. For the event, the mom-to-be donned a sparkling navy sequined dress offset by a classic black Givenchy clutch, sleek pair of Stuart Weitzman strappy ‘Nudistsong’ sandals and a gold bangle that once belonged to Princess Diana. 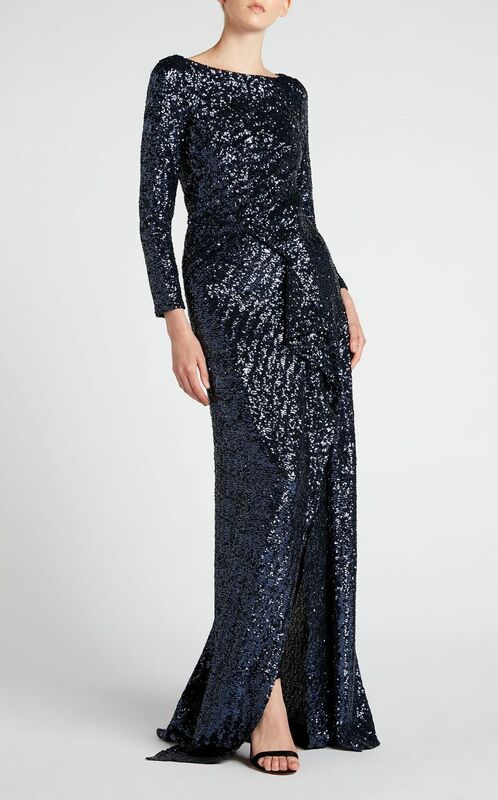 The glamorous dress flatters the Duchess baby bump perfectly and features long sleeves and her favorite bateau neckline. It was created by her designer friend Roland Mouret, a brand having worn by other celebrities. Earlier the day, the Duchess was also pictured making a serious style statement for a solo appearance at The Mayhew. Markle showed her maternity style in a one-toned look opting for a creamy wool coat by Armani, matching turtleneck dress by H&M, Stella McCartney ‘Falabella’ bag and completed with a pair of Paul Andrew slingback pumps.